You’ve probably read all the stats claiming that customer acquisition is somewhere between five and 25 times more expensive than customer retention. Besides, your existing customers are 50% more likely to try your new products and spend 31% more than the new ones. But, all this doesn’t imply that customer retention should be your only focus. Remember: all these loyal customers were once mere prospects. And bear in mind that 50% of customers naturally churn every five years. Now that we’ve established how important it is for your business to reach more customers and capture their undivided attention, let’s discuss 7 tactics you can try out in 2019. The goal of your marketing and advertising efforts is usually to drive traffic to your website. Now imagine the disappointment of your hard-earned visitors when they land on a poorly designed, visually unappealing home page. You can be sure that they won’t spend too much time exploring your website, which means that they won’t discover how great your products and services are. Maybe you think it’s superficial of them to be so focused on the aesthetic component of your website, but put yourself in their position and ask yourself whether you’d be willing to trust a crummy website with your credit card number or other sensitive data. 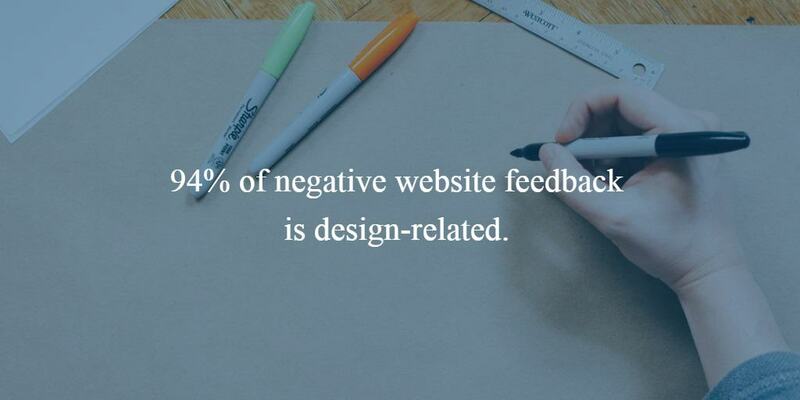 Even research studies have shown that 94% of negative website feedback is design-related. So, if your website looks as if it were a relic from the Windows 98 era, which takes ages to load, you’d better do something about it right away. Or your website will be perceived as untrustworthy. White (space) is the new black! It will allow your content to breathe and direct your visitors’ attention to important elements of your web page. Optimise your nav bar and help your visitors explore your website effortlessly. Single-page web design is currently popular, as it’s user-friendly and works well across different devices. Speed up your load times. Besides expecting a sleek and polished website, your visitors would also like it to load before they even click on it. OK, this is an exaggeration, but sluggishness will make your bounce rates soar. Google’s experts suggest you should keep your load times below 3 seconds. No matter how much you try to convince your audience that your intentions are sincere and that your products or services are indeed of superb quality, they’d still rather hear it from somebody else, preferably not affiliated with your brand. 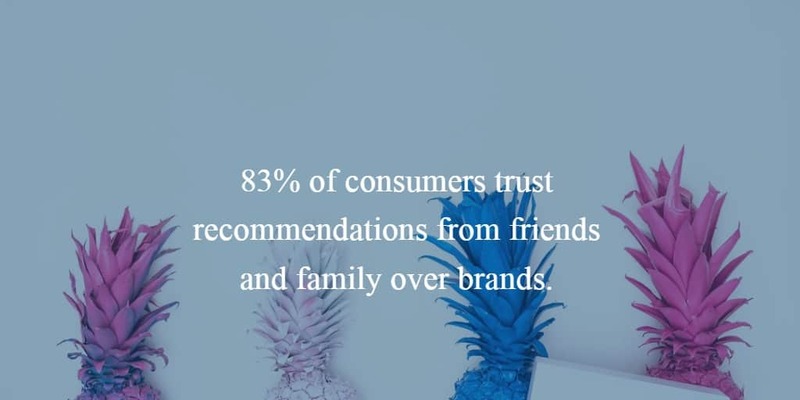 A Nielsen survey conducted in 2015 showed that 83% of consumers trusted recommendations from friends and family over brands. Similarly, 57% of consumers believe that less than 50% of brands produce relatable and authentic content. So, if you want to reach a larger portion of your audience and catch their eye, ask your existing customers to put in a good word for you. Customer testimonials that you can put on your website will dispel your prospect’s doubts and suspicions about the quality of your products and services. This kind of social proof is particularly powerful when displayed on your home page, product pages, and thank you page – the last one will prevent customer remorse, a common phenomenon after a purchase has been made. A local SEO strategy is particularly effective if you’re running a brick-and-mortar business, but even if your business operates mainly online, it’s a good idea to target local audiences. 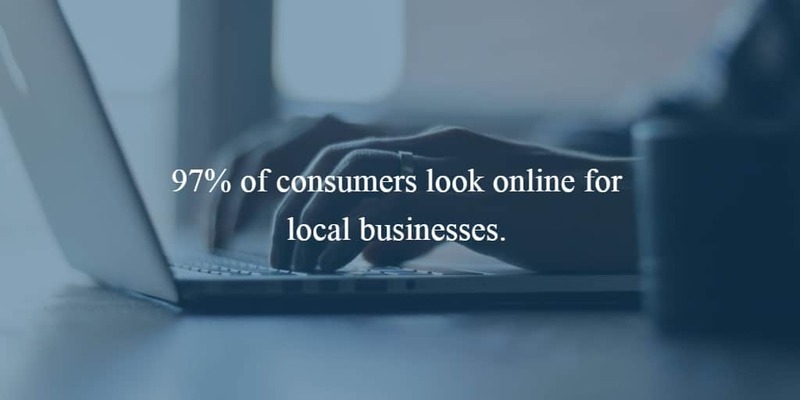 Various stats corroborate this claim, and the most striking one is that in 2017, 97% of consumers looked online for local businesses. Similarly, 50% of people who perform a local search visit a local store within one day. There are a couple of things that you can do to improve your local SEO, and I’ve already covered most of them here. Creating high-quality, valuable content which resonates with your audience and addresses some of the issues they commonly face is a great way of reaching more customers and bringing them to your website. Local business owners sometimes think they’re too busy and incompetent to come up with useful and entertaining content, but it couldn’t be further from the truth. Are you running a restaurant? Offer some interesting recipes and cooking tips. Are you running a beauty salon? Share some skincare tips and tricks. The point is in being helpful and showing your expertise in the field. People like doing business with established professionals, so if you come off as an expert willing to share their tricks of the trade, your target audience will naturally gravitate towards you. Make your content marketing efforts consistent and publish as many posts as possible, because it’s a sure-fire way of generating new, qualified leads. However, forgo quantity for quality – rather post less but better, than more but nor as good. To additionally expand your reach, join forces with other local, complementary businesses and guest post on their blog to tap into their audience. Your target audience spends a lot of their free time on social media (although research says that people hang out on Facebook and Instagram even while they’re at work). It’s only logical to grab their attention while they’re scrolling down their feeds by sharing a funny meme or a compelling piece of content on a relevant topic. 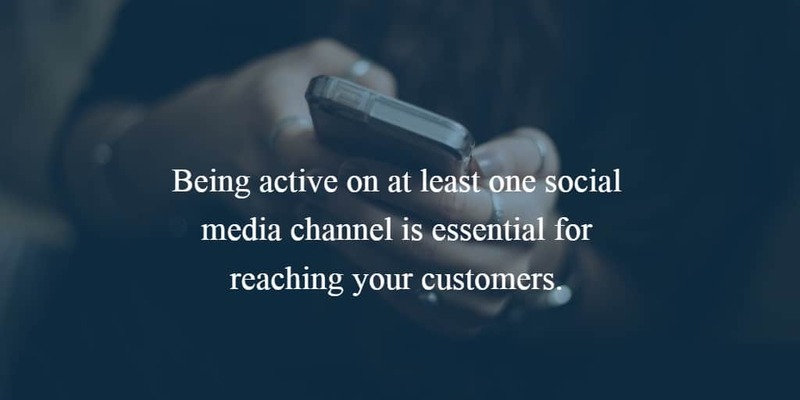 So, being active on at least one social media channel is essential for reaching your customers. If you can’t decide which one to pick, find out what your audience prefers and focus on that one. Apart from building brand awareness and entertaining your target audience, social media plays another important role as a growing number of businesses use it for customer service purposes. So, make sure to respond to every question and acknowledge every comment, even the negative ones. You can greatly benefit from handling negative feedback in a constructive and helpful manner, as that paints your business in a positive light and shows your potential and existing customers that you care about them and their customer experience and that you’re willing to improve your service. Organic reach is in decline. That means that your audience won’t be shown your posts as frequently as before – Facebook’s algorithm has been tweaked so that it mainly shows posts by users’ friends and family in an attempt to encourage meaningful personal connections and interactions. To be more precise, according to some estimates, your audience sees only 0.5% of your business page’s social media updates, which is pretty underwhelming given how much time and effort you put into your content. So, the social media giant has practically curbed unpaid content posted by businesses and brands. 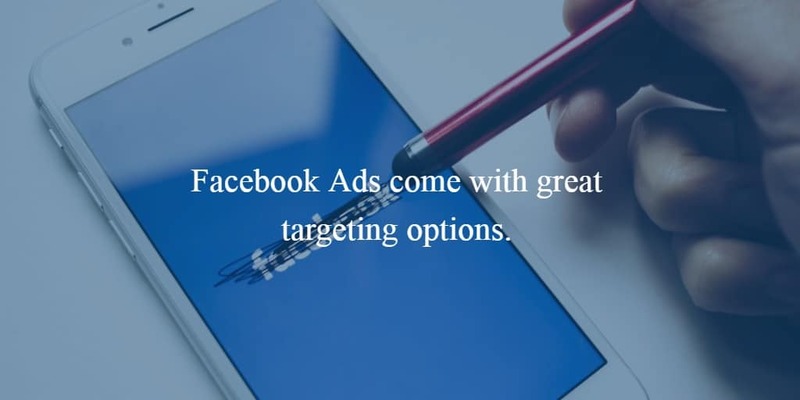 On the other hand, Facebook Ads come with great targeting options, and you can reach your audience based on their location, interests, and many other parameters. Although the company recently announced that after years of criticism, it will prevent advertisers from targeting audiences based on age, race, and gender, there are still a lot of ways to make your campaigns granular and serve different segments of your audience with ads relevant to them. You’ll still be able to take advantage of their recent purchasing behaviour, important life events, lookalike audiences, and layer targeting options. Finally, Facebook retargeting is a powerful way of staying on your prodigal prospects’ radar and convincing them to come back and complete their purchase, and it can bring you a lot of new, first-time customers. Although we’ve been told that there ain’t no such thing as a free lunch, you can bet that this adjective sounds like music to your prospects’ ears. This magic word can do wonders for the promotion of your business, as it’s a powerful psychological motivator. In reality, that free lunch, subscription to your service, or branded merch has a subconscious impact on your prospects, and after that, they won’t be able to help but come back and purchase something from you. In other words, your potential customers will feel almost obliged to return you a favour by becoming your actual paying customers. So, in reality, the no-free-lunch paradigm is an accurate one, because, in the end, your prospects end up paying for what you’ve given them with their loyalty. Try at least some of these ways of reaching more customers, but bear in mind that some of them will take some time to return results – SEO and content marketing in particular, for example. If you need help with writing blog posts, optimising your online resources for search engines or with your paid advertising, get in touch with us at Cube Digital and let us help you come up with a strategy that works.